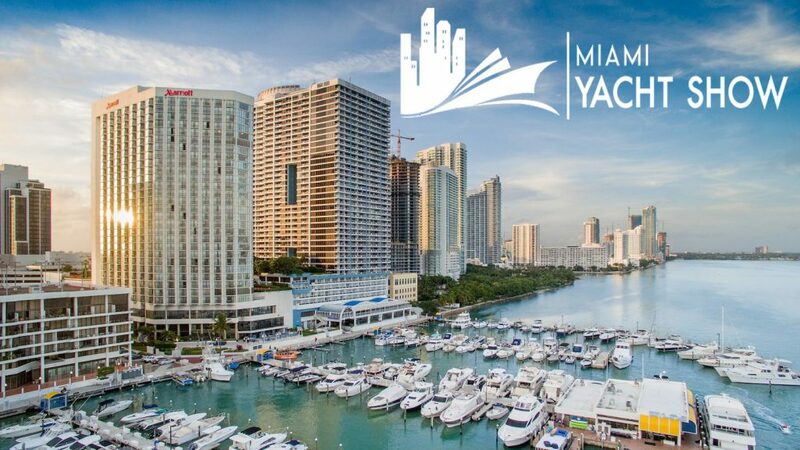 Visit the All new Miami Yacht Show Feb 14-18, 2019 : Atlantic Yacht & Ship, Inc.
Mark your calendars! February 14 -18. You don’t want to miss the all new Miami Yacht Show 2019. So, what’s the attraction? This is your opportunity to see the finest yachts from around the world on display in one location. The Miami Yacht Show will be situated between the Venetian and MacArthur Causeways. This area is just North of downtown Miami and next to the Adrienne Arscht Center for Performing Arts. the Miami Yacht Show. Your choices include Brightline, Metrorail, and Tri-Rail. In addition, there are major interstates nearby for drivers. Further, 3,500 parking spaces will be available, making this location considerably more accommodating than previous locations. The Miami Yacht Show attracts US and international Clients. Miami is a magnet for wealthy South American and European boat Buyers. Talk about a great place to people watch! The area has world acclaimed shopping, art district, cuisine, and endless nightlife, condensed within a few city blocks. Not to mention the Miami weather is spectacular in February! Join us! Atlantic Yacht and Ship will be situated in the broker section on H Dock and we will have our new Pearl 80 in the new section South A-83. For more information about the show, visit atlanticyachtandship.com. We hope to see you there! For over 56 years Atlantic Yacht & Ship has been serving the yachting community. In fact, our headquarter sales office is dockside at Harbour Towne Marina. In the heart of the yachting capital of the world, Fort Lauderdale, FL. Our in-house waterside service department provides general yacht services. This includes from new teak, to engine rebuilds, captain services, and everything in between. Whether purchasing or marketing a quality vessel, Atlantic Yacht and Ship, Inc. is your one stop resource. We provide the highest quality service and sales in the yachting industry today. Regardless if you are looking at yachts for sale, or thinking about selling your yacht. It is always wise to have an experienced broker representing your interests throughout the deal. Contact Atlantic Yacht & Ship at 954.921.1500 or click here.